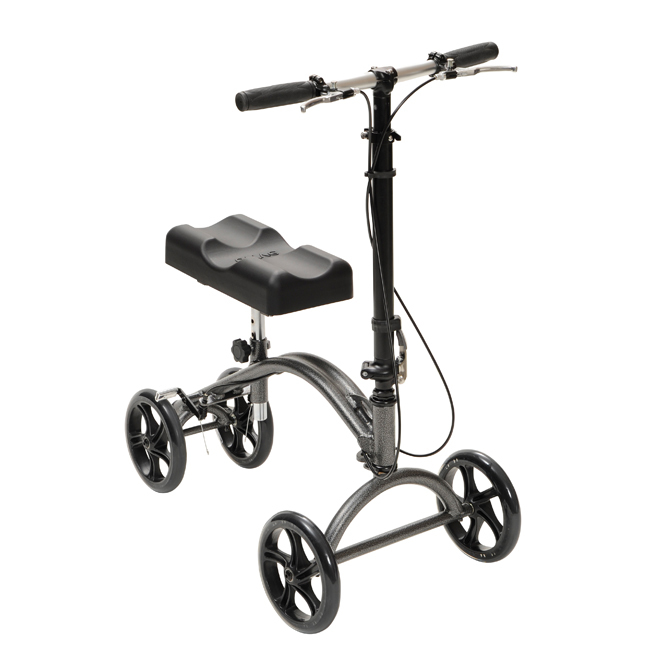 Knee Walkers are excellent mobility devices for foot or ankle injuries. Knee Walkers are a great alternative to crutches for foot & ankle injuries. It can be a great long or short term alternative to crutches, or folding walkers, which, with extended use, can lead to back pain, under-arm pain, and other adverse effects. The Knee Walker allows the user to maintain an active and more independent lifestyle which will help them progress more quickly in recover. * Rentals may not be available in all areas. Delivery, Pick up, & Setup not included. Delivery fee $30 (0-20 mile radius from Austin office), additional charges apply for further distances. Labor charges to set up starts at $20, depending on product. Hospital Bed setup/disassemble starts at $75 each. Mattress purchase: $200 standard, $250 Bariatric. All Rentals have a 2 day minimum except hospital beds which are set at a 1 month minimum. All rentals are required to be paid in advance for the estimated duration of need. If a rental is needed longer than expected, please notify Kerring Group as soon as possible to get the best discounted rate. If a rental is returned before the estimated duration of need then client will be charged based on the rates that would apply for that specific duration. If this amount is less than the amount actually paid, then client will receive a refund of that difference. Please allow up to 2 weeks to recieve refunds.